Yesterday, we wrapped up The 2017 OPEN MINDS Technology and Informatics Institute in Philadelphia. The theme of the week—in every session and hallway conversation—was about getting data aggregated and then doing something with it. This started with the first day’s keynote, Andrew Wright, the Vice President, Digital Medicine for Otsuka America Pharmaceutical (see Remaking Health Care With Wearable Technology & Digital Health – A View To The Future) who brought the perspective that wearable tech doesn’t matter as much as integrating the data. The theme carried through with our opening keynote yesterday, James Schuster, M.D., Chief Medical Officer, Medicaid and Behavioral Services and Vice President, Behavioral Integration, UPMC Insurance Division, Community Care Behavioral Health Organization—who discussed the need to identify the most effective interventions for consumers (see Data Sharing To Enable Population Health Management). Ravi Ganesan, President of Core Solutions, Inc. Addressing this issue head on with his call for executive teams need to reassess their digital transformation was Ravi Ganesan, President of Core Solutions, Inc., in his session, Connecting The Dots From Data To Value. His theme-the field is moving away from empowering companies to empowering consumers and to do that, executive teams need to understand and use digital tools. He referred to the need for these teams to operate in the emerging “Industrial Revolution 4.0,” in which all the data needs put to strategic use to reinvent and revision business model and services. This is digital transformation using digital tech to support innovation, creativity, and change-and is a pathway to new consumers, improved consumer convenience, a tech-enabled streamlined consumer experience, and consumers who are more engaged (see Does Your Organization Need A Digital Transformation? Is Your Team Ready?). Mr. Ganesan then outlined a three-step process to embark on digital transformation-building the metrics-informed organization, turning data into consumer value, and moving from value to business intelligence. Digital transformation 1-Provider organization need to have a great appetite for data. Organizations that excel at using data must also excel at collecting data. Their philosophy is simple—collect all the data and then figure out how best to use it. They might not necessarily know all the ways the data can be utilized, but they will know eventually, and when they do they will have the data they need. 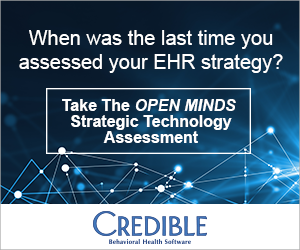 Provider organization executives should have a plan for collecting the data they need to manage operations, make key decisions, and report on performance. Mr. Ganesan noted that to make this happen, organizations will need to move from active data collection, compared to passive data collection-from professional entered or consumer reported, to devices and remote monitoring. Digital transformation 2-Provider organization need to turn data into value. Moving your information assets to business intelligence involves understanding what the data means and how to use it to your organization’s best advantage. In the era of digital transformation, data is an asset. Knowledge used to be power, but no more; now sharing knowledge—with partners, payers, and consumers—is power. As I listened to Mr. Ganesan’s model, I was struck by how little this has to do with technology and how much this has to do with leadership. Technology and the capabilities that it brings-the power of “big data” to make decisions-is a tool that the best leadership teams will use. 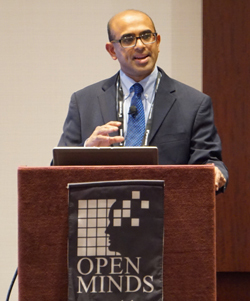 For more from Mr. Ganesan, check out these resources from the OPEN MINDS Industry Library– The ‘Five-Step Formula’ For Making Data-Driven Decisions, There’s More To A Data Culture Than Just Data, and ‘Suspend Everything You Know’. 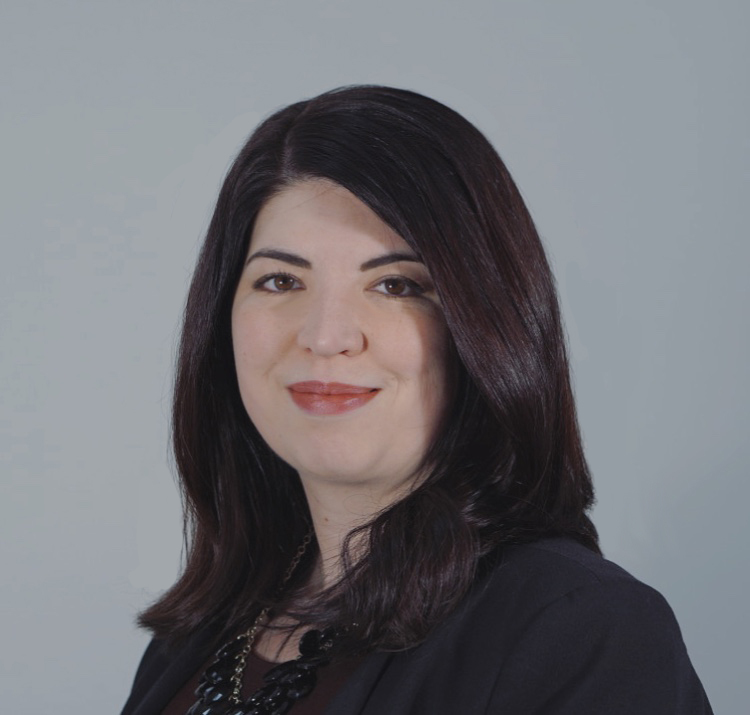 For more on developing technological competencies join us on Monday, November 13 at 1:00 p.m. for the Coffee Break Case Study: Transitioning Your Services Into A Digital Market, featuring OPEN MINDS Senior Associate Christine Cooney. And, planning ahead to build the leadership team your organization needs for the digital era, mark September 18-20, 2018 in your calendar for The 2018 OPEN MINDS Executive Leadership Retreat.